No election posters ~ thank you! 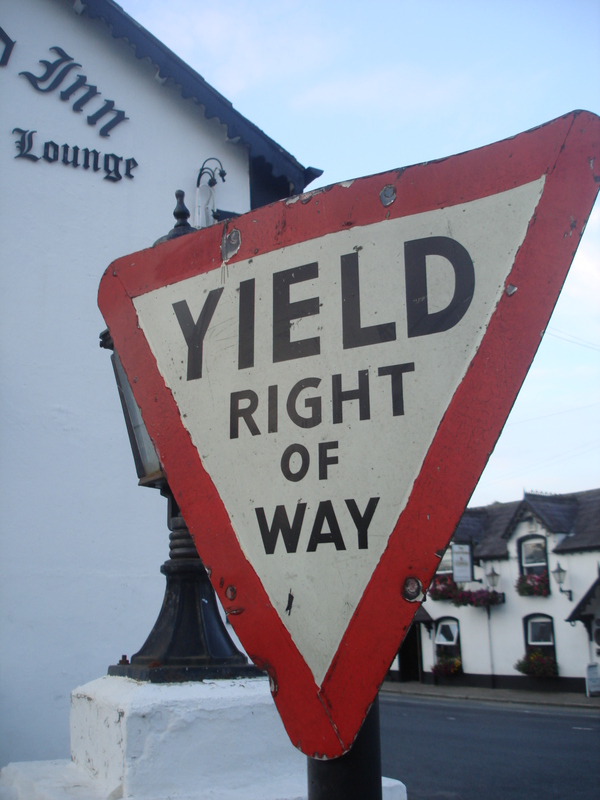 Roundwood Tidy Towns group has again requested candidates in the upcoming General Election to refrain from erecting posters within the 50km zone of the village. The group has wrote to or emailed all the would be TD’s in the Wicklow and Carlow East constituency today to ensure the message gets to them before Taoiseach Enda Kenny announces the date for the election. The group made this appeal in previous election years and Terry Kavanagh, Chairperson was delighted with the results, with the majority of candidates respecting the appeal from the group. Most candidates are extremely careful when erecting their posters but inevitably some posters come a cropper to the wind and rain in Wicklow’s highest village. The posters always come down within the time allocated but those dreaded cable ties often linger on poles for years and years. So if you see any of our local politicians (unlikely!) or their helpers erecting campaign posters in the coming weeks, please ask them politely to check with HQ to see if they received the correspondence from the Roundwood Tidy Towns group. Best of luck to all the Wicklow and Carlow East candidates on the campaign trail ~ Roundwood, Moneystown & its hinterland are looking forward to your support in the new Dáil! This entry was posted in News & Events on January 29, 2016 by roundwoodiewicklow. Did you spot the great Roundwood Operation Transformation group on TV last Wednesday night? Operation Transformation continues every Saturday morning at Roundwood National School. The weigh in for adults is at 9am and then the gang take off for the walk, run or jog at 9:30am at your own pace. Over 70 men, ladies and children are exercising each Saturday – so come along – it’s never too late to begin – as the saying goes ‘just do it!’ Liz Belton also leads a group on Wednesday mornings from the Parish Hall starting at 9:30am. All are welcome. Roundwood National School are aiming to achieve a ‘Blue Flag’ which is the sign of an active school. Part of their efforts include doing a community activity such as Operation Transformation. 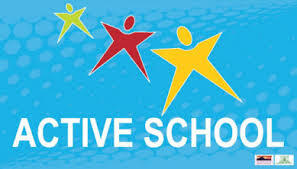 They also include dance, laps, active Archie, be active homework nights in the pro-active efforts to becoming a fit and active school and community. Healthy lunches and snacks are encouraged at all times & as we all know, the best drinks are milk and water. The final day of Operation Transformation is Saturday March 5th – its looking good, Roundwood – so watch this space!! Roundwood Variety Group are pleased to announce their Panto for 2016, The Pied Piper which takes place in the Brockagh Resource Centre Laragh on Friday 29th & Saturday 30th at 8pm, and Matinee on Saturday 30th and Sunday 31st at 3pm Starring the evil Pied Pier, the wicked Rat Queen and her rat filled sewers alongside the handsome hero Hans and his hilarious mother Frau Kinderflapping (the dame!). The witty script promises to have the entire family splitting their sides with laughter from start to finish so don’t miss out. Tickets €15, available online NOW at www.roundwoodvarietygroup.com. A limited number of tickets will be available at the door. For further details please call Ann at 086 6036631 We look forward to seeing you all there and we hope you enjoy the show! A part-time caretaker (five hours per week) is required for St. Laurence OToole, National School, Roundwood, Bray, Co. Wicklow. Please apply in writing on or before Friday 5th February, 2016 and references are required. A reminder that the Active Retirement Lunch club will take place on Friday 19th February in Byrne and Woods, Roundwood at 1.30. St. Laurence O’Toole National School, Roundwood is currently in the process of finalising enrolments for September 2016. Should you wish to enrol you child, please telephone the school at 01 2818399 before the end of January. Bethany Special Mass for the Sick – If you, your family, a relative or friend or neighbour are suffering from an illness, or are troubled in mind or body, we invite you to join us at our Special Mass on Thursday February 11th at 7pm in Roundwood Church (World Day of the Sick). At this Mass we will have special prayers for the sick, and for those wishing to avail of it, there will be anointing with oils. There was no jackpot winner in last weeks draw. The numbers drawn were 25, 28, 29 & 30. There was one match three winner, Claire Fogarty. Next weeks jackpot will be €19,400. Our Mass of Remembrance will take place on Saturday 27th February at 6.30pm. This mass is for parishioners and family members of parishioners whose funerals have taken place outside the parish since February of last year. The results of the whist is as follows:- Top Score: Shay Brady; Top Gent: Tom McHugh; Second Gent: Pat Fisher; Top Lady: Mary Murphy; Second Lady: Ann Wolohan; First Half: Richie Cullen; Second Half: Jimmy Molloy, Lowest Score: Paddy Halligan & Longest Sitting: Tiny Shortt. Raffle prizes were won by May Kenna, Tiny Shortt, Paddy Halligan, Mary Cullen & Tom McHugh. Next whist will be on Wednesday 3rd February. 18th January saw Monica Brady and Catherine McGillycuddy take 1st place for North/South. Nancy O’Brien, Gertie Fee, Mary Pierce and Margaret Byrne shared 3rd/4th and Seamus Kennedy and Rachel Judd were 4th. Ger Lenihan and Paddy O Brien kept the flag flying for the men taking 1st place once again for East/West, joint 2nd/3rd were Clare Sally, Maura Gaskin, Brid Clancy and Catherine McGillycuddy while Phil Power and Bridie Nolan were 4th. Bowls every Tueday night at 8pm. Handball every Monday for Adults at 8 o’clock. Handball every Wednesday night for juniors. Go to Facebook for more info. Womens/Men Shed starts back on Wednesday the 27th Jan at 10.30am. It Includes Bowls, Cards and much more. You are all welcome and bring more ideas to this social morning. The Historical Group are in the process of getting a memorial to Robert Barton and Erskine Childers. If anyone would like to donate to this project it would be appreciated. Some funding is available towards this project but not enough to fund it all. There is dancersize on Mondays and Thursdays if you need to lose a few pounds, come along at 7 o’clock. This entry was posted in News & Events on January 25, 2016 by roundwoodiewicklow.